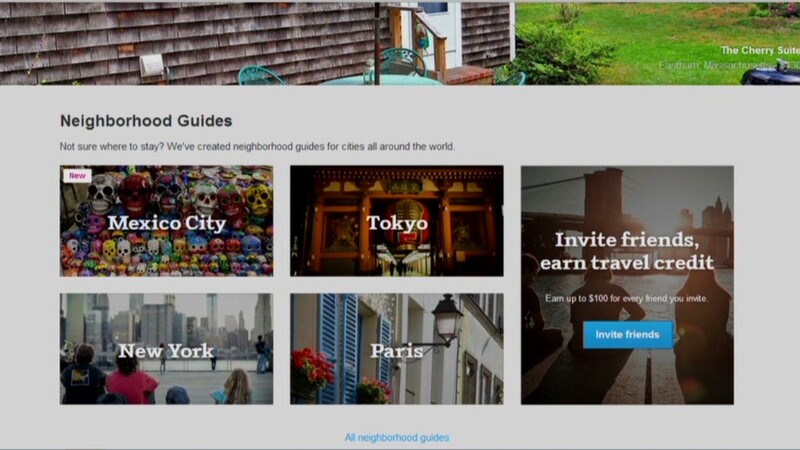 New York may soon close the door on some of Airbnb's most popular hosts. The housing-rental site faced off in court Tuesday with the New York attorney general's office, which is pressing Airbnb for the identities of users it believes may be violating state housing laws. Airbnb has argued that the law is meant to crack down on landlords who buy residential buildings and run them as hotels, not on individual tenants. The company is fighting the attorney general's request that it give up data on its hosts, calling the subpoena a "vast data demand on regular New Yorkers." The two sides are now awaiting a judge's decision on the subpoena. "Today, the Attorney General again made it clear that he remains determined to comb through the personal information of thousands of regular New Yorkers just trying to make ends meet," wrote David Hantman, Airbnb's head of global public policy, in a blog post following Tuesday's hearing. But New York Attorney General Eric Schneiderman says as many as two thirds of Airbnb rentals in New York City may be illegal. "State law protects the quality of life of building residents and the safety of tourists," Schneiderman spokesman Matt Mittenthal said in an email. "We strongly support innovation, but being innovative is not a defense to breaking the law." Schneiderman's office circulated a list on Monday of Airbnb's largest users in the city, some of whom offered dozens of listings. By Tuesday, most of those users had disappeared from the site, though Airbnb claims this resulted from a months-long effort to purge bad landlords and not this week's publicity. The site says some 2,000 listings are being removed permanently. "These hosts weren't making their neighborhood stronger and they weren't delivering the kind of hospitality our guests expect and deserve," the company said. Although Airbnb has been aggressive in its criticism of Schneiderman's effort, the company warns users in its terms of service that they're the ones on the hook if they face legal trouble. But despite these challenges, the service is growing rapidly and is now available in more than 34,000 cities in 192 countries. The company has reportedly been engaged in fundraising in recent weeks that would value it at $10 billion, more than all but three of America's largest hotel chains. "We are a young company, we are constantly learning," Hantman wrote in his blog post. "We look forward to continuing to work with our community and city leaders around the world as the sharing economy moves ahead."